Over 50 percent of UK graduates are women, professional services firms report that over 50 percent of their new graduate hires are women, and over 50 percent of our GPs are women. The world of work is no longer a man’s world. However, organisations haven’t changed; they are still largely designed for men. Their systems, policies, values and structures tend to be particularly well-suited to men. Despite numerous diversity efforts, women feel excluded, undervalued and feel opportunities for advancement are lacking, according to 2012 research by Barbara Annis. As a result women leave the workforce disproportionately, which brings enormous costs from loss of talent and lack of diversity. It’s time to realise we need to review the role of women and what they contribute. Men and women can fulfill the same roles and achieve the same results. Brain, biology and behaviour are designed for learning, and a person’s behaviour is not determined by genetics. However there are ways in which women are different than men that have an impact at work. Women compete differently, find security in a different way, respond differently under stress, take decisions in a different way and pick up different signals. So if men and women are different it’s not hard to see that they need something different from their leaders and organisations. Of course we need to treat everyone equally and give individuals equal opportunities, but that doesn’t mean we should treat them the same. Organisations can do much more to bring out the best in all individuals. Just consider the cost of a workforce where 50 percent of people are disengaged and not performing at their top just because the organisation isn’t designed for them. We need to be designing our organisations and leadership behaviours in a way that works for both men and women; in short we need to be Gender Smart. Traditionally women had to adapt to organisations designed for males to get ahead. Senior women cultivated a male style and often rejected approaches traditionally seen as female. That has changed. As a female senior executive recently said to me, “Now that I am no longer the token woman in the board room, I feel I have more degrees of freedom. It’s not a woman saying something – representing all woman kind – it’s just my opinion ”. It’s important that senior women are vocal about their way of working and what they believe in, thus allowing younger women to follow in their footsteps. Senior women can also actively highlight the strengths they see in the way of working of younger women. The differences between men and women can inform behaviour that can bring great value to teams and organisations. It’s well-known that a diversity of views brings innovation, more thorough decisions and less risk. Men’s way of working usually leads to fast, clear decisions, based on hard facts. Quick action can be taken. Along the way differences are sorted, and clear priorities are set. There is a focus on end-results. Winning and protecting the position of the team and its members is key. Women’s way of working usually ensures that expertise of the entire team is taken into account, there is an awareness of the impacts on people, and best practices are included in decisions. This leads to buy-in, and results in fast implementation. There is a focus on the process as well as end-results. Harmony, team cohesion and long-term client relationships are key. Men and women complement each other. Typical male strengths are highly valued in organisations. However, typical female strengths are invisible or not taken serious. No wonder women feel undervalued and excluded. It’s important organisations recognise more openly the strengths that women bring, and help women see and work from those strengths. Women tend to be hesitant in putting themselves forward, broadcasting their achievements and take up space or airtime. This is not because they lack confidence, it’s because they compete on ‘being nice’. In groups of girls the nicest girl, with the best relationships is at the top of the hierarchy. It’s tough to unlearn this behaviour at work as it has been linked to security and position from a young age. Instead, organisations need to review their ideas on what ambition and eagerness look like. Teach managers to ask their team for their ambitions, invite people at the table and give them airspace. Create safe ways to demonstrate achievement by making it more transparent, and by weighing team results as much as individual results. Once we realise and accept that men and women are different, there are many more ways leaders and organisations can be Gender Smart and improve performance. An organisation in which women feel included and valued, will have higher engagement and increased productivity as a result. Inge Woudstra is the author of ‘Be Gender Smart – The Key to Career Success for Women’. Inge works with organisations on female talent management, and specialises in gender difference at work. She works with managers on improving performance of mixed gender teams. Inge is an experienced tutor, researcher and consultant at W2O Consulting & Training. 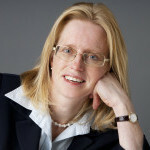 She has more than 20 years of experience in international organisations, including Shell and Siemens and, most recently, Ashridge Business School.